How fast is your website growing at the moment? If it’s not fast enough, and you are struggling with low conversion rates, there is a problem. You need the right hacks that generate instant website traffic. Getting more website traffic is perhaps the most essential task you should be working on right now. 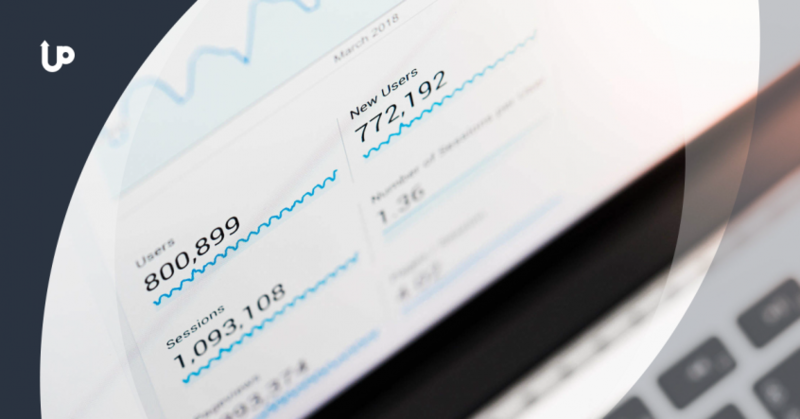 Because once you get tons of qualified people to your site, everything else improves — email sign-ups, content shares, interactions on your website, and ROI. Today, I’m about to share 10 tactics to get traffic fast. The best part is that these instant website traffic hacks are simple and easy to tweak. 1. Reverse engineer a successful person’s sales funnel. Sam Ovens is one of the people I admire the most when it comes to running wildly successful Facebook ads. 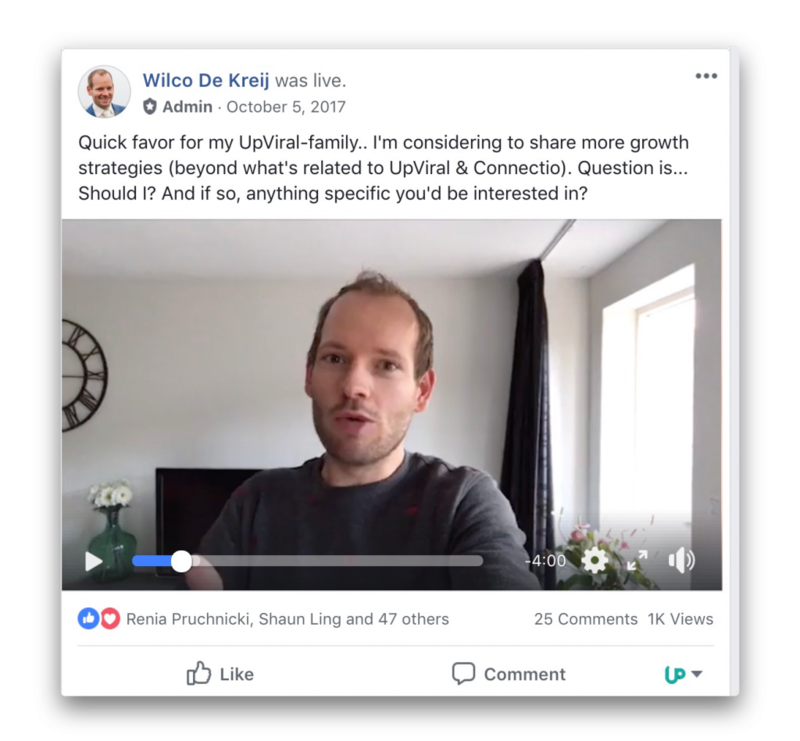 For that reason, I wrote a case study for my Connectio audience that would break down the strategies he uses for his FB ads. 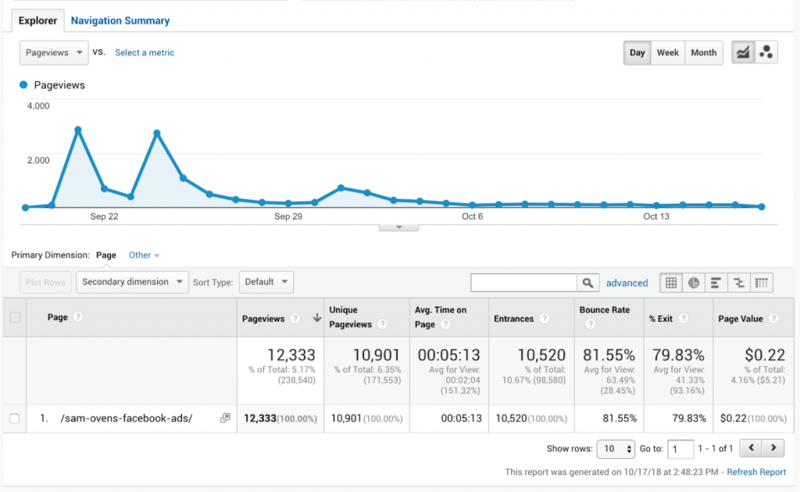 In a few days, the case study generated 10,901 unique page views and 5 minutes of average time on page. These stats show how interested my readers were in my content. I gave a lot of value in that case study. Nowadays, most marketers rehash the same old topics. I promoted that piece to the right communities. 2. Start a viral referral marketing campaign. Did you know that Dropbox went viral even without spending tons on advertising? In 2008, they gathered 100,000 registered users. After 15 months, this grew to 4,000,000. In September 2017, Dropbox now has 10 billion users. One of their biggest success drivers was their viral referral program. 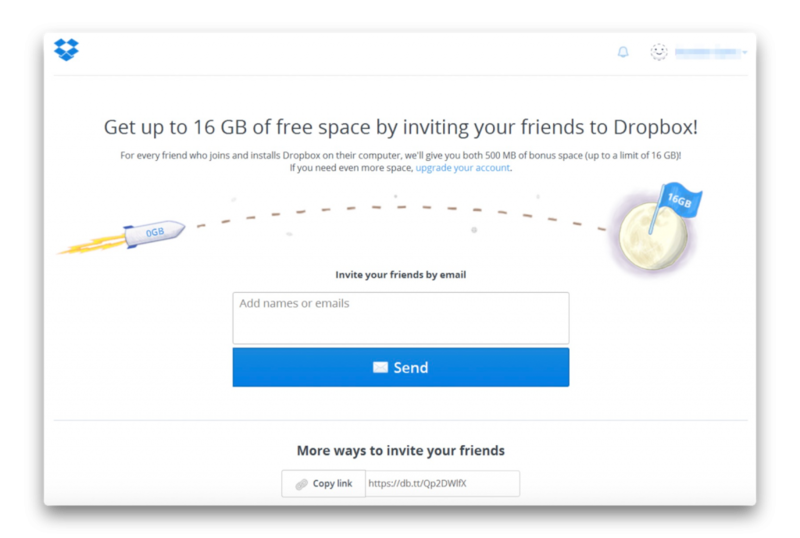 The idea was simple yet powerful: Dropbox rewarded users with up to 16 GB of free space if they get their friends to sign-up. And if their friends would accept the invitation to sign-up, they would receive free space as well. Now that you know how Dropbox grew their audience, it’s time to think about how you can grow yours also through viral referral marketing. Step 1: Choose a free offer (lead magnet) that your ideal audience wants to have. Create a landing page that explains your free offer. Step 2: Have a simple referral process in place. First, require your landing page visitors to sign-up to join your contest. Reward them with your incentive if they perform your desired action (for example, visit your website and comment on your blog post) and share your campaign with as many friends as possible. Step 3: Drive traffic to your landing page to boost its success. 3. Focus on ranking for longtail keywords. Longtail keywords are basically keywords that are long (3 or more words) and less popular. While not many people use them to search for online content, these words convert well. So how come longtail keywords attract instant website traffic if they don’t get a lot of searches? Since longtail keywords have low competition, your pages or blog posts gain better visibility. You don’t need to write entirely new blog posts to rank for longtail keywords. Find a few posts that can be tweaked with your newly researched keywords. SEO isn’t the only way to maximize your visibility. An optimized piece of content shouldn’t be gathering dust and waiting to be found. Make sure that you use various promotion strategies. Your ideal audience could be hanging around in different places all over the web — Facebook, Twitter, Quora, and other online communities. Your audience is simply waiting to find your content and engage with it. Rule #1: Always be promoting your content. A common scenario we see among marketers is this: they schedule their post to go live on a certain date — and that’s it. It might shock you to know that you should promote your content not only once but multiple times. Busy people usually check social media after work or upon waking up and most likely, they’ve missed your recently shared post. Rule #2: Try different strategies. Diversify your content marketing methods. This can mean using organic and paid techniques to reach your audience. For example, running Facebook ads and guest posting on blogs that get good monthly traffic. Rule #3: Track results and repeat what worked. 5. Ask your social media fans what they want to know more about. I have a question for you: do you really know what kind of topics to create based on your readers’ interests? If you want a tribe of readers who will interact with your content regularly, ask a question on social media. I got a ton of positive, detailed responses that helped me create topics they’d be interested in. Ask questions whenever you can — let your audience do the talking. Leverage their responses by creating a detailed blog post. After writing the post, share it on your page and tag everyone who requested your topic in the comments section. Encourage them to share your post! The next thing you know, you attract instant website traffic. 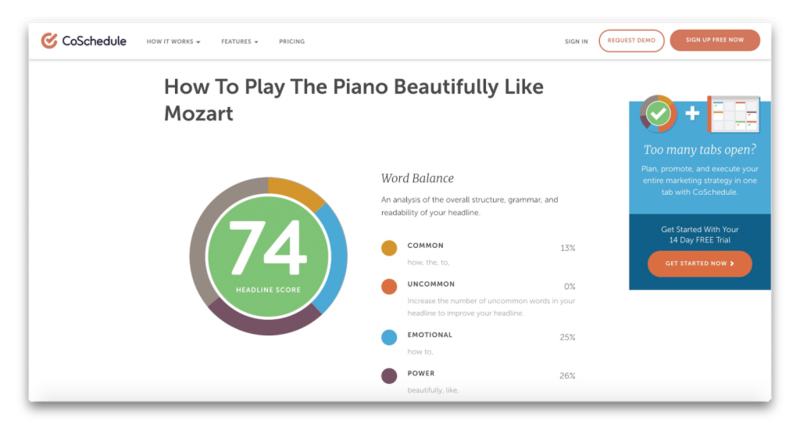 Garrett Moon of CoSchedule very well knows that headlines play a significant role in how people perceive content. After analyzing 1 million headlines used in blog posts, one of his huge findings was that emotional headlines get more shares. When it comes to the types of emotions, headlines that convey happiness and positivity encourage more sharing. Each time you write a headline for your blog post or landing page, think about how it will make your audience feel. Will it make them feel empowered? Confident? Exclusive? Whatever that emotion is, it must be positive. 7. 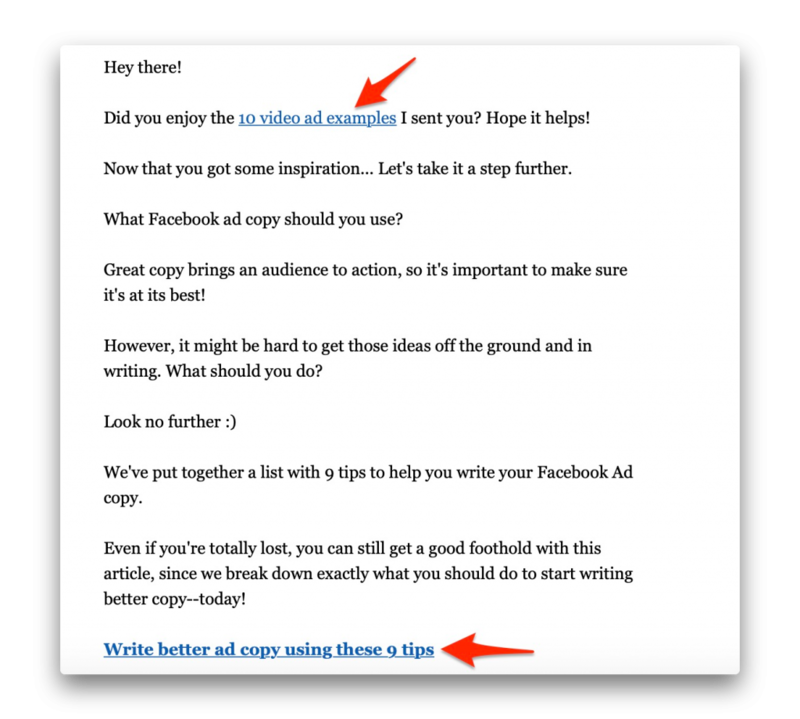 Repurpose your content – turn a blog post into another format. How many pieces of content you got that have been sitting unnoticed for months, years? Repurpose them. To repurpose content means to update it in a way that it takes on another format. Then it gets promoted to a new channel. That way, the repurposed piece reaches a new audience ready to appreciate and act on it. You can repurpose in a number of ways. When repurposing, remember to pick only pieces that have performed well. Login to your Google Analytics to check posts with the highest engagement. Or, visit your blog to see which posts had the most comments and shares. 8. Give an influencer free publicity to spark sharing. You know what’s the best thing about targeting influencers? They have an impressive following. For example, Jamie Chung, an Instagram fashion influencer who has 1.2 million followers. This means that if influencers in your niche to share your content, you get hundreds to thousands of new eyes to check out your blog. So how do you get influencers to share your stuff? Simple: Write a blog post about them. That post could be a list of the top influencers in [year], must-follow blogs in [year], or an unbiased review of their product or service. Make sure your finished piece is the best — it should provide a lot of value. Next, tell them about your piece. Message them through email. Tag them when you share the post on social media. Know the social media sites where they usually hang out. 9. Invite guest bloggers to write for you. You don’t have to churn out blog posts or even write guest posts on other blogs. Have people do the writing for you for free — and drive instant website traffic along the way. This strategy builds your audience as these guest bloggers will be sharing their written posts with their followers. Create a page that specifies your guest blogging guidelines. Do they need to submit their ideas? An outline? Most importantly, tell them what’s in it for them. If you allow them to link to their sites, include that information. If you intend to promote their guest post to your email list, mention that as well. Spread the word about your guest posting opportunity on LinkedIn and Twitter. Link to your guest posting guidelines page. Reaching out to bloggers you already know is a great start. 10. Keep your email subscribers engaged. Many business owners and marketers don’t maximize their email marketing to increase their blog visits. Little do they realize that engaging your current list can potentially attract new audiences and even increase your revenue. Promote your campaign to your list – Got a new campaign for your tool, ebook, or service? Let your email subscribers know. If it’s a contest, remind your audience that sharing your contest to as many friends as possible increases their chances of winning your reward. Include a sharing link from the email. Retarget subscribers who interact with your emails – Don’t just send out emails; make sure you track engagement. My tool called ConnectAudience allows you to show retargeting ads to people based on their actions. For example, if they opened your email and but didn’t click on your link. The sad reality is that only a few people use these hacks to drive instant website traffic. Make sure that you follow them to start seeing results. Let me know in the comments which ones you think will work best for you!